A Total Solar Eclipse will occur on July 11, 2010. Tourists and inhabitants on Easter Island and other small islands in the southern Pacific Ocean, as well as in southern Argentina and Chile in South America, will have the chance to witness this eclipse. We won’t be able to see it in North America. During a total solar eclipse, the Moon completely obscures the Sun over a relatively narrow band across the Earth's surface. It takes place at 3:33pm ET in the sign of Cancer. This is expected to be a strongly emotional eclipse that will affect a lot of relationships. Long withheld emotions will finally be expressed and needs may be met. People will be more inclined to follow their heart or soul urges. There may also be a tendency to be ruled by the subconscious mind rather than the rational mind. Both the New Moon and the sun are in Cancer so the impact this will have on relationships and friendships is doubled. Here is a look at how the July 11th eclipse might possibly affect your sign. Uranus is retrograde in your sign at the same time the eclipse takes place, so you are likely to experience some kind of drama at work. You may be looking at a changing of the guard or the loss of a necessary business partner or an investor. It is also possible that a piece of technology might have to be replaced. Venus is in your fellow earth sign of Virgo as this eclipse hits, but as it is in opposition to a lot of planets that have to do self-investigation and the revelation of secrets, such as Pluto and Chiron, you may find yourself having to confront the truth about a situation that is no longer serving you. If you are married and have been unfaithful, it is highly likely that your secret is revealed at this time. Venus in Virgo may have you feeling rebellious against the restraints imposed on you by one important relationship. You may be shocked at the rage or grief that is bottled up inside you at this time, but in many ways it is also a good time to unleash it. Telling someone exactly how you feel about a relationship that is going nowhere might be a good idea. 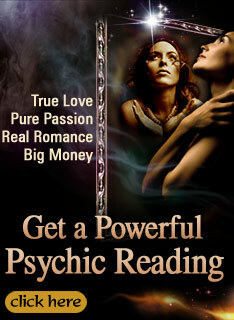 This is also a good time to release any damaging habits or patterns that might be prevent you from making money. You can expect a big change to do with a relationship and your place of residence as this eclipse is taking place in your sign. The time it takes place, at 3:33, is also significant as that time adds up to a nine which signifies transformation and death. Although this big change might feel uncomfortable at first, you will most certainly be grateful for it in the end as it is in place to rid you of a situation that has kept you in a rut for the last few months. Mercury is in your sign and in a good relationship with the planet Uranus, so your sign is probably not going to be hit as hard emotionally by this eclipse as other signs. However, the Sun is the ruler of your sign and as it is blocked from view, you can expect a misunderstanding to take place. The good news is that you are more than likely able to talk your way out of whatever this represents. Your sign is ruled by love planet Venus, but it is in opposition with Uranus, Chiron, and Jupiter. These planets rule your reality, your painful memories, and a money source. This means that you are more than likely to experience some trouble with a relationship that is a source of love and support to you. This split has been a long time coming and you are well advised not to fight against this situation, which in the end will restore financial and psychological balance to your life. Your ruling planet Venus is in the cold and finicky sign of Virgo during this eclipse. You may feel that an important someone is not as loyal or committed to you as you would like. If you do decide to confront this individual and make demands, keep in mind that this eclipse is not likely to grant you any wishes. Ultimatums are not recommended at this time no matter how much you think you are in the right. Mercury in Leo is making you feel bold, confident, and aggressive, but if you have been too arrogant with the wrong people, this eclipse is going to provide you with a situation that humbles you. You need to be especially careful of offending the wrong individual at work. It is also a bad idea to make a deal that seems profitable with someone who has a wicked reputation, as this type of shortcut will backfire on you. Mercury, the planet of communication, and Venus, the planet of love, are clashing in the sky at the same time as this eclipse and this is going to cause misunderstandings with other people. The impact of this eclipse is not going to be as severe on your sign as others, but to prevent skirmishes and possible feuding, it is best to lie low and say as little as possible from July 7 to July 15. You have several planets afflicting your sign, including Pluto in Capricorn facing off in a celestial configuration that has been causing a lot of feuding and conflict in your life. This eclipse may have the effect of showing you where you have gone with your close relationships. You may experience a crisis that compels you to apologize to someone you have wronged or simply see where you may have been accountable for some of the emotional catastrophes that have been dimming your happiness lately. Neptune is retrograde in your sign in the first place. This has made you quite emotional over the past few weeks anyway. However, this eclipse in Cancer is going to distort your thought processes more than ever. You may feel overly sentimental, angry, or fall deeply in love with someone overnight. The key to getting through this eclipse is going to be to exercise some self-control. Impulsive behavior could be a catastrophe at this time. The ruler of your sign, Neptune, is retrograde during this eclipse, which makes you feel very emotional and sentimental. If you are single, you may be tempted to look up a lover from the past. The over abundance of watery energy in your sign could lead to some depression. If you have been indulging in escapist behaviors or addictions, they are likely to be revealed and challenged by others at this time. Is it possible to be ruled by another planet at different times of the moon? Virgo is not ruled by the love planet Venus. Virgoans, like Geminis, are ruled by the planet Mercury.